Larry's Personal Appearances & More. . .
Larry James was a special guest on ABC TV's "The View" with Barbara Walters. The topic was "Forgiveness" and "Rebuilding Trust." Pictures from a special photo session after the show give you another view of "The View!" 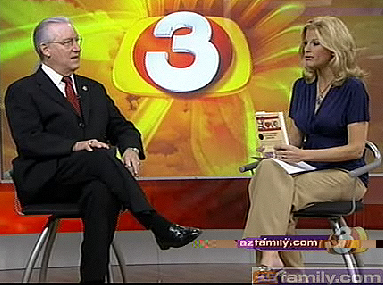 Larry James was featured recently on KPNX-TV 12's 5 o'clock news in Phoenix with Rich Dubek (and crew). Larry James & Stan Grossman, President of ASBA Larry James was honored as an "Exceptional Workshop Presenter for 2003" by the Arizona Small Business Association at their Annual Awards Dinner on January 7, 2004. 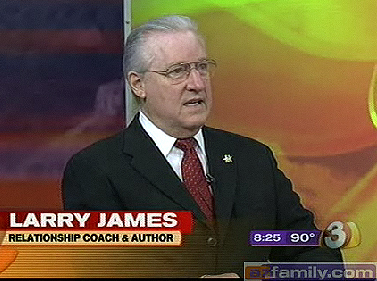 Larry James was interviewed by Tara Hitchcock on "Good Morning Arizona" on Thursday, June 25, 2009 between 8:00 a.m. and 9:00 a.m. on KTVK, News Channel 3 - Channel 703 (in HD), Phoenix.